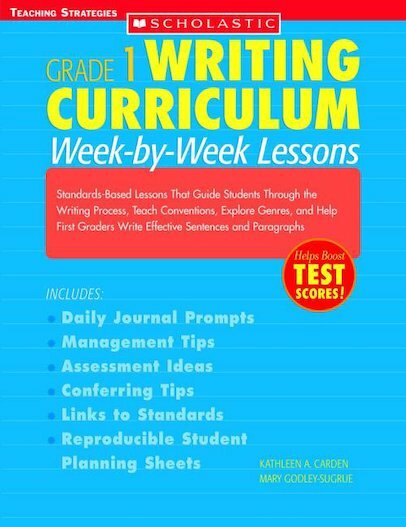 A complete, standards-based writing curriculum designed specifically for first graders’ developmental needs. The authors, experienced teachers, have sequenced the skills first-grade writers need to acquire. Then they created engaging lessons to teach and reinforce these skills. Through daily journal prompts and weekly writing lessons, first graders move from labelling pictures, to writing sentences, to composing paragraphs. Includes management strategies, conferring tips, and much, much more.